Free the planet from tyranny, take the heart of virtue the unavoidable axis of progress G. U.D. P.
<< Insurrection of Consciences >>? 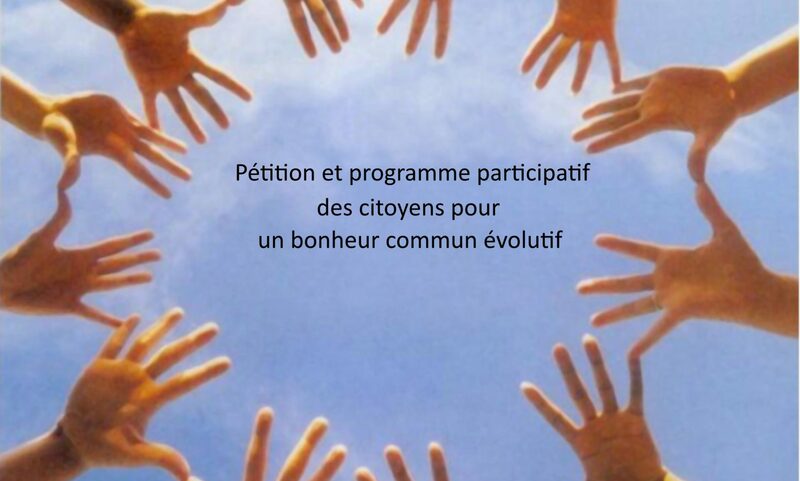 Petition Participative evolutionary citizen for a Universal Happiness. Above all, I would like to thank Mr. Jean-Luc Mélenchon and all the participants who have done a great job in carrying out a program, a thousand thanks. The name of the movement that brings together all the citizens, and that stands above globalization. Citizen control workshops at all levels of elected officials to monitor programs and eventually revoke those who do not. (Not only with a referendum). Article précédentPrécédent TEXTE de mon ANCIEN SITE Année 2000 RESTE VALABLE!!! TEXTE de mon ANCIEN SITE Année 2000 RESTE VALABLE!! !